Lynford Farms is run by professional management with a team of staff that strive to achieve set goals. The management of the operation is guided by expert independent advisors in farm planning, sheep husbandry and agronomy. Permanent staff members oversee specific areas of the farms operations in the cropping and livestock enterprises. Part time workers including local residents and casual staff are hired to assist with seasonal cropping and harvesting operations as required. Lynford Farms is also a large employer of professional local contractors. 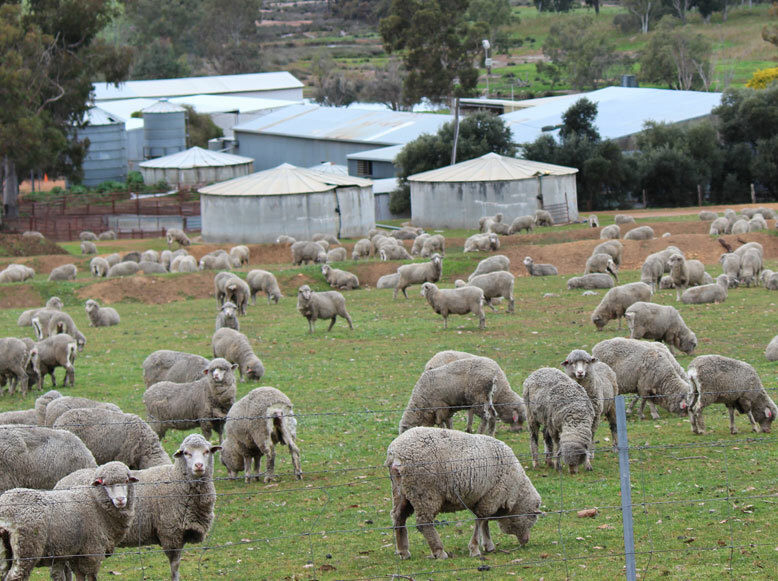 Many services such as fertiliser spreading, heavy trucking, shearing and other sheep husbandry activities are performed by local contractors, some of whom are near neighbours. All staff are provided the opportunity and encouraged to participate in training and professional development. Lynford Farms also provides traineeships for junior staff to gain qualifications in the industry. Workplace safety is a key focus of our business with procedures being continually developed and documented. Comprehensive policy and procedure information is provided to inform and assist staff. Quality housing is available on the property for staff members and includes 7 family houses and separate facilities for single persons. A farm orchard and grassed grounds are maintained by our on site caretaker. The property is well located for services from the nearest towns of Williams (27Kms) and Darkan (29Kms). Limited services are available from the nearby infamous Quindanning Tavern. As such there are 2 primary schools within a 30km radius and 2 senior high schools within a 60km radius (Narrogin and Collie) with school bus services available to the farm gate.